John Carpenter – Anthology (Movie Themes 1974-1998) Standard edition and indie exclusive colored vinyl with bonus 7″ edition. R. Ring – Ignite The Rest – R.Ring is Kelley Deal and Mike Montgomery. It is guitars, voices and keys. The music is sparse, abrasive, chaotic and lulling… often within the same song. 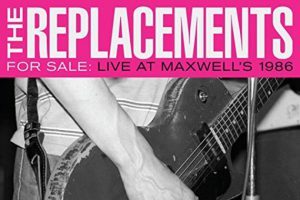 It is a celebration of yet departure from their work in their other bands (Kelley with the Breeders and Mike with Ampline). On ‘Ignite the Rest’, R.Ring’s debut full length LP (due out on VINYL on SofaBurn October 6, 2017), Kelley and Mike have enlisted the help of a few friends to flesh out some of the material. The bits of drumming that appear are courtesy of Laura King (Mac MaCaughan and the Non-Believers,) Joe Frankl and professional skateboarder Kristian Svitak. The compelling Cello arrangements are by Lori Goldston (Earth/ Nirvana). The tracks run the gamut from plaintive meanderings to noise pieces to mid-tempo swoons to raucous barn-burners. R.Ring will be touring throughout 2017 in support of the release. Jackie Shane – Any Other Way Known by genre aficionados as one of the greatest singers and most riveting stage presences in soul music, Jackie Shane has remained largely unknown outside Toronto, where her career briefly flowered in the 1960s. Beyond her unmistakable gift of the gab, Shane is a pioneer of transgender rights, born in a male body but unabashedly living her entire life as a woman at a time when to do so seemed unthinkable. Any Other Way is the first artist-approved collection of Ms. Shane’s work, collecting all six of her 45s and every highlight from the legendary 1967 live sessions at the Sapphire Tavern, including three mind blowing, previously-unreleased tracks. Rob Bowman’s 20,000 word essay is Jackie’s first communication with the public in nearly half a century, telling for the first time ever Jackie Shane’s story in her own words. 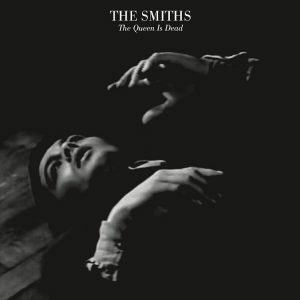 The Smiths – The Queen Is Dead Widely considered to be both The Smiths’ finest work and one of the greatest albums ever made, ‘The Queen Is Dead’ has cast a significant influence over subsequent generations since it was first released in the summer of 1986. 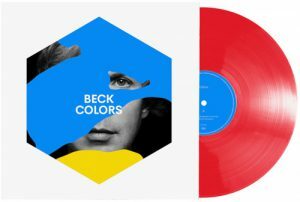 Now Warner Bros. Records can confirm details of a newly mastered and expanded 5LP box – featuring the 2017 master of the album, additional recordings and the ‘Live In Boston’ recording. Limited Edition Rhino Rocktober Releases! Posted on Tuesday, October 3rd, 2017 under New Releases. You can follow any responses to this entry through the RSS 2.0 feed. You can leave a response, or trackback from your own site.